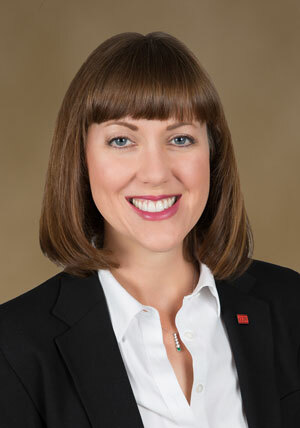 Phoenix, Ariz. (October 30, 2018) - Jenette Bennett, CCIM has been named 2019 Central Arizona CCIM chapter president. Bennett is a first vice president at Kidder Mathews with more than 12 years of experience in the commercial real estate industry, specializing in the sale and leasing of retail and land for development in Southwest Phoenix. Bennett has been a CCIM designee since 2012 and has served on the board of the Central Arizona chapter for three years in various roles including education committee chair, treasurer, and vice president. CCIM stands for Certified Commercial Investment Member. A designee has completed graduate-level coursework in financial and market analysis and has demonstrated extensive experience in the commercial real estate industry. The CCIM Institute provides the highest ethical standards and quality educational programs to members. "It is an exciting opportunity to join Central Arizona CCIM's leadership as the chapter president. I look forward to working with other board members to continue to provide premiere commercial real estate education in Arizona, and implement new initiatives such as mentorship and university connections," said Bennett. CCIM Institute is commercial real estate's most influential professional organization, with members closing $200 billion annually in commercial real estate deals. For 50 years, the Institute has been building opportunities through its respected education program, led by established practitioners. CCIM Institute members are eligible to earn the CCIM designation, the industry's most prestigious certification. For more information, visit ccim.com. Kidder Mathews is the largest independently owned commercial real estate firm on the West Coast, with over 700 real estate professionals and staff in 21 offices in Washington, Oregon, California, Nevada, and Arizona. Kidder Mathews offers a complete range of brokerage, appraisal, property management, consulting, project & construction management, and debt & equity finance services for all property types. The firm performs $7 billion in transactions, manages over 50 million square feet of space, and conducts over 1,500 appraisals annually. For more information, visit kiddermathews.com.